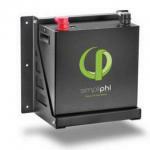 The XW-MPPT 80-600 is the first PV battery charge controller to use DC input voltages up to 600v. This breakthrough charge controller significantly decreases the current needed in the array to reduce wiring gauges and costs, increase string sizing, and gives the ability to easily place the array farther from the battery bank. 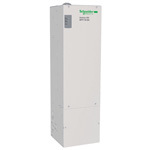 A PV array combiner box isn&apos;t required for many installations. It can be used with PV arrays with voltages ranging from 195 to 550 VDC and can support an output of up to 80 amps into the battery for battery voltages of 24 or 48 VDC (nominal). 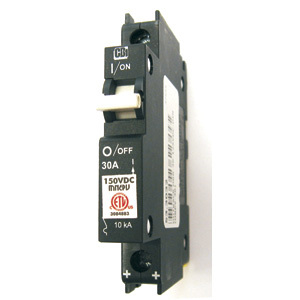 The PV open circuit voltage must not exceed 600 VDC. The Xantrex XW MPPT 80 600 tracks the maximum power point of a PV array to deliver the maximum available current for charging batteries. When charging, the XW MPPT 80 600 regulates the battery voltage and output current based on the amount of energy available from the PV array and the present state-of-charge of the battery. Standby and night time power draw is less than one watt. 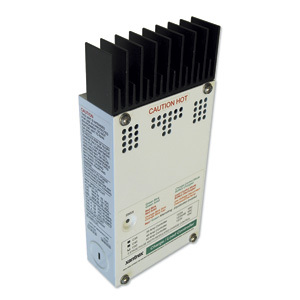 The charge controller has a configurable auxiliary output to drive a relay for load control or to turn on devices such as vent fans or indicator alarms. The auxiliary output can be configured to perform only one function at a time. 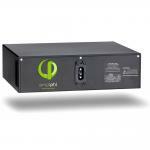 Full output power of 4800W up to 45ºC is available without de-rating. 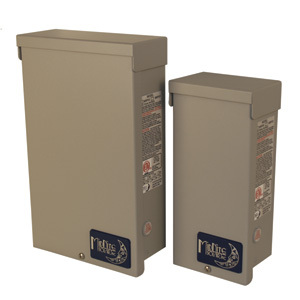 There is over-temperature protection and power derating when ambient temperatures are high, as well as input over-voltage and under-voltage protection, output over current protection, and back-feed (reverse current) protection. Built-in PV ground fault protection allows code-compliant installation without the need for additional ground fault protection. 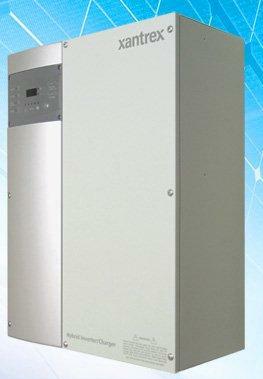 It is configurable for positive, negative, and ungrounded PV systems. The XW MPPT 80-600 can be used with the XW inverters and power distribution panel, or used by itself in other PV systems. A battery temperature sensor is included with the controller. The XW MPPT 80-600 is able to communicate its settings and activity to other Xanbus-enabled devices, such as the XW Series inverter/charger, the System Control Panel (SCP), XW Automatic Generator Start (XW-AGS), and other Schneider Electric Xantrex XW solar charge controllers through the Xanbus network. It can also be installed in a stand-alone mode with XW System Control Panel XW SCP. Please note: We highly recommend purchasing an XW SCP (System Control Panel) along with this unit, as it will be required for adjusting settings, viewing error messages, and more. See the Xantrex array sizing tool at www.se-renbu.com/support/xwsizing/Default_SE.aspx. Dimensions are 30"H x 8.63"W x 8.63"D and weight is 29.8 lbs. 5-year warranty. 10-year warranty optional. Listed to UL 1741 for the U.S. and Canada.